At a press conference held earlier today in New York City, WBC heavyweight champion Deontay Wilder officially announced that he will defend his title against mandatory challenger Dominic Breazeale on May 18th at Barclays Center in Brooklyn, New York. The contest will take place on Showtime Championship Boxing - and not on pay-per-view as previously circulated. 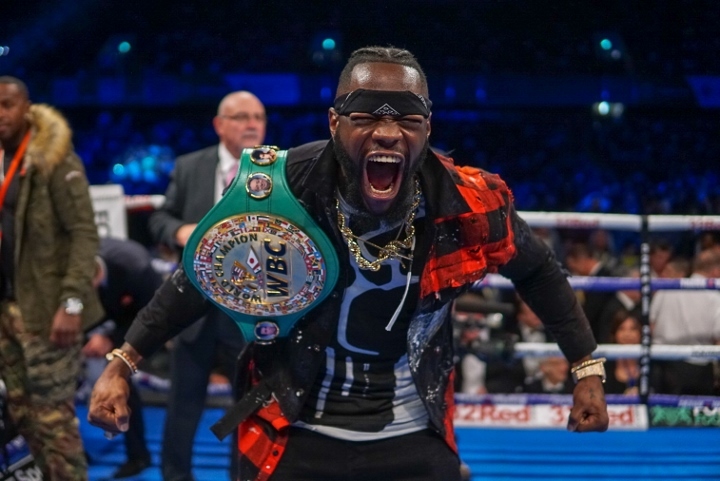 In recent weeks, Wilder was aggressively pursued by streaming service DAZN, who offered him a multi-fight package that was close to a $100 million. Wilder was in action back in December, when he fought Tyson Fury to a controversial twelve round split draw at Staples Center in Los Angeles, California. A rematch with Fury was on deck, until the British star signed an exclusive deal in the United States with Top Rank and ESPN. The fight comes two weeks before Anthony Joshua takes on Jarrell Miller at Madison Square Garden. Joshua holds the IBF, IBO, WBA, WBO heavyweight belts.